In a small Ecuador town, there was something special happening. It was difficult to see the cause of the excitement from the outside, but the commotion slowly drew a small, cautious group of spectators to the door of a local community center. Looking to see what all the fuss was about, they would often slip inside to watch young girls and boys in their caps and gowns graduate from The Greatest Journey program. Curiosity had brought them in, but the Gospel message encouraged them to stay. 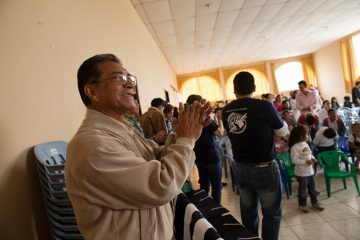 For Pastor Carlos Julio, every man, woman, and child in the room was a blessing. As individuals and families arrived, he greeted each of them with a warm smile and a handshake. His love for the community was evident, but not everyone in the community appreciated his dedication. Pastor Carlos follows along as a group of children sings about being soldiers for Jesus Christ. 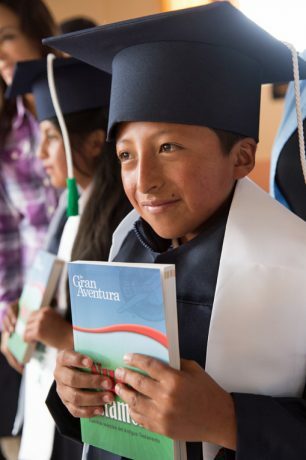 Just days before the graduation, Carlos and his team faced fierce opposition and potential violence. Threatened by the growing popularity of the program, a local group had forbidden many families from attending and even rescheduled a weekly event to interfere with the day’s festivities. Earlier in the year, the children had all received Operation Christmas Child shoeboxes. For this impoverished areas, it was the first time that many of the children had ever received a gift. 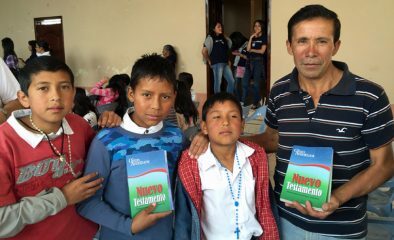 It was also the first time that Carlos and his team had the opportunity to use The Greatest Journey, a 12-week discipleship course for children who have received Operation Christmas Child shoeboxes. Though there were some challenges, it was a blessing because it was the first ministry tool for children that they had used. The response was tremendous. A graduate holds his new Bible. To make sure that every child who was interested could attend The Greatest Journey classes, the pastors took a taxi to pick up the children from their homes. The pastors also helped meet some of their basic needs by bathing and feeding the children. The home used as The Greatest Journey classroom has now become a church, which Pastor Carlos prays will grow as parents continue to watch their children change through their faith in Jesus Christ. “I pray that God could open doors and touch the heart and break the chains of the enemy and that we can plant this church,” Carlos said. One of those now attending church is Angel Israel Miranda and his three children, Wilson Daniel, Miguel, and Santiago. For most of the graduation ceremony, Angel sat in the back with a proud look on his face. As the festivities wore down, Angel took great care of the new Bibles his sons received. As the ceremony drew to a close, there was a sense of joy in the room. 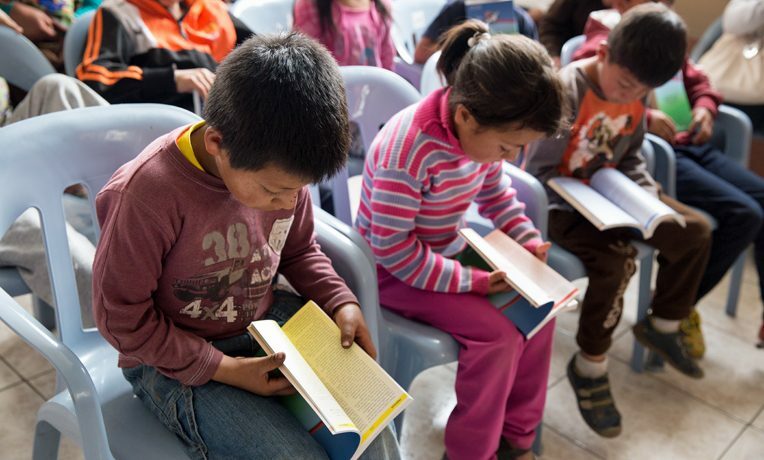 Challenges and hardships will continue as this new church of children continues to grow, but the hope these graduates found in the Lord Jesus Christ remains. “To the present hour we both hunger and thirst, and we are poorly clothed, and beaten, and homeless. And we labor, working with our own hands. Being reviled, we bless; being persecuted, we endure; being defamed, we entreat. We have been made as the filth of the world, the offscouring of all things until now” (1 Corinthians 4:11-13, NKJV).